Life is one big game with many obstacles and different bosses to fight against. One of the biggest challenges we go through in life is about money. Everything today seems to be revolving around it and it’s the one thing that easily comes and goes as quick as lighting. If only money could multiply as easy as humans do, right? But let’s face it, it doesn’t work that way. We face different problems everyday and unexpected situations may suddenly arise, some needing more money than we can afford. If you’re one of those people who have already gathered some savings, you are probably one of the few people who are reliable when it comes to money. Sometimes, it’s inevitable for an individual to borrow money to buy something necessary or pay some dues. 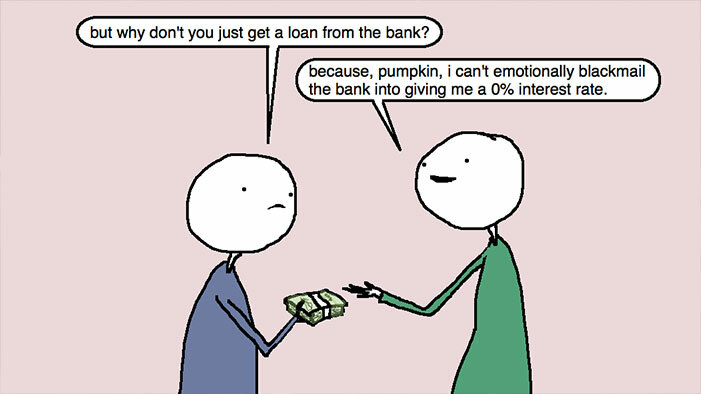 Loaning to people we know is a risky thing to do because family/friends and money don’t mix really well. Most of the time, money stains a relationship. There are pros and cons to lending them money but you have to lay some ground rules which both parties can agree on. For those people who have a hard time handling money, this can be a good opportunity to teach them to be more responsible. Both of you should set some boundaries like agreeing on a deadline and/or adding an interest. Another good thing about lending money to someone you already know is that you’ve already planted something good and maybe they can return the favor some time in the future. We never know, it might be you who will need to borrow some bucks. On top of that, helping out a friend or family member is good deed. We wouldn’t want to see someone close to us suffer when we know we can help. The danger of allowing money get involved in your relationship with each other is the risk of being taken advantage of. After lending them money, they might already see you as the “family bank” and feel that it’s okay to borrow from you again next time. Not only that, it’s easy to let resentment cloud the mind once things don’t go as planned — not being able to pay on time, not following the agreement, etc. In terms of being a good family member or a good friend, we just want to help out to help them feel at ease. We tend to overextend our finances or use a bit of our savings for them. If we don’t be careful, this will leave us bankrupt. If you really have a strong principle of not letting someone borrow money to avoid conflicts and broken relationship, there are other ways you could extend a helping hand. Come up with other options to solve the problem. Money isn’t always the solution so find other ways you both can settle with. Lend the amount you can only afford to lose. Don’t go all out when you lend money, just lend the amount that’s okay not to be paid back. 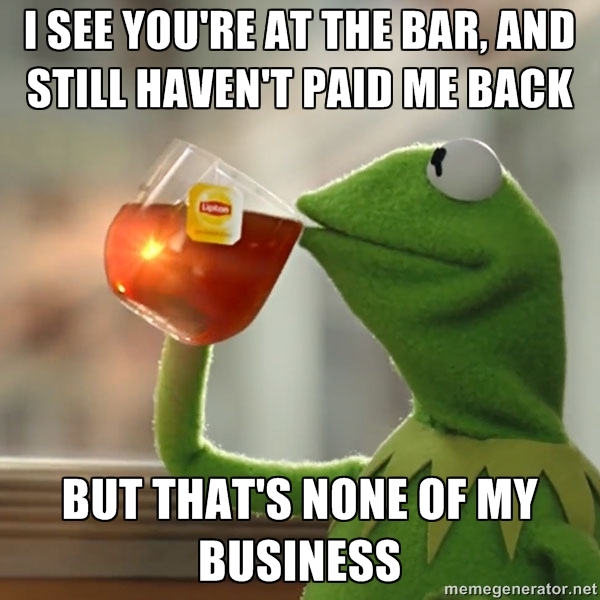 If they pay you back, then good. If not, well at least you were able to help. Set some boundaries, agree on a deadline or interest and be clear about your expectations.